Hip-hop legends Will Smith & DJ Jazzy Jeff are back at making music together. Many got to know the duo on the 1990s sitcom, The Fresh Prince of Bel-air. The two, team up together to perform at the Livewire Festival, Sunday the 27th of August, 2017. 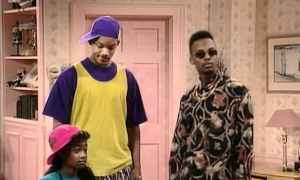 Will Smith introduced his first song in nearly 20 years with DJ Jazzy Jeff. Will Smith DJ Jazzy Jeff New Release is called "Get Lit"
The new track is far different than the music on their classic records "Parents Just Don't Understand" and "Summertime" It was perfoemed for the first time as Will Smith busted out some rap rhymes and DJ Jazzy Jeff provided an electronic music beat. The new music style might take some getting use to, but we had to admit it was full of energy and had a cool drop.